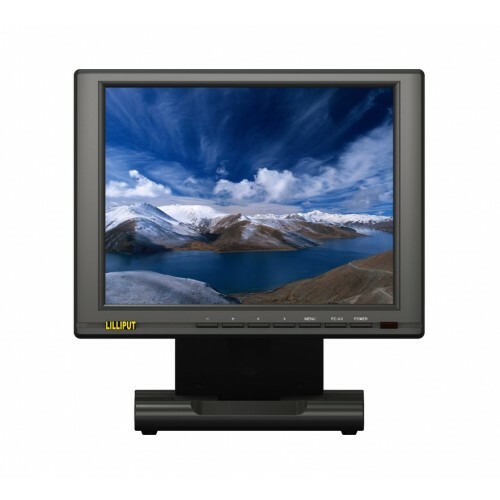 The Lilliput FA1046-NP/C is a 10.4" 4:3 TFT LCD monitor with HDMI, DVI, VGA and composite inputs. The FA1046 is a 10 inch monitor with a 4:3 aspect ratio, similar to the regular 17" or 19" monitor you use with your desktop computer. The standard 4:3 aspect ratio is well suited to applications that require a non-wide screen aspect ratio, such as CCTV monitoring and certain broadcast applications. Unique to the FA1046, it also features a YPbPr video input (which is used for receiving analogue component signals) and an S-Video input (popular with legacy AV equipment). We recommend the FA1046 to customers who plan to use their monitor with a range of AV equipment, as this 10 inch monitor is certain to support it. You won't find a more suitable CCTV monitor than the FA1046. The 4:3 aspect ratio and wide selection of video inputs means this 10 inch monitor will work with any CCTV equipment, including DVRs. 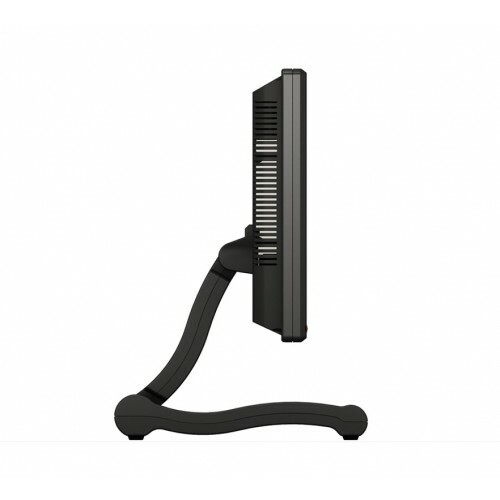 The built-in desktop stand allows customers to set up their FA1046 10 inch monitor right away. This is perfect for customers who want to set their 10 inch monitor up without making any mounts. 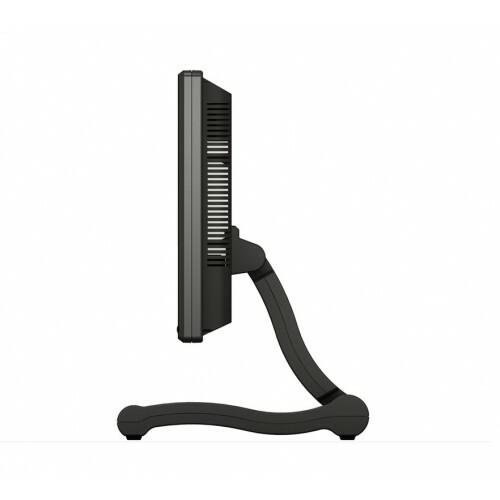 The desktop stand can be detached allowing customers can mount their 10 inch monitor using the VESA 75 standard mounts. A. 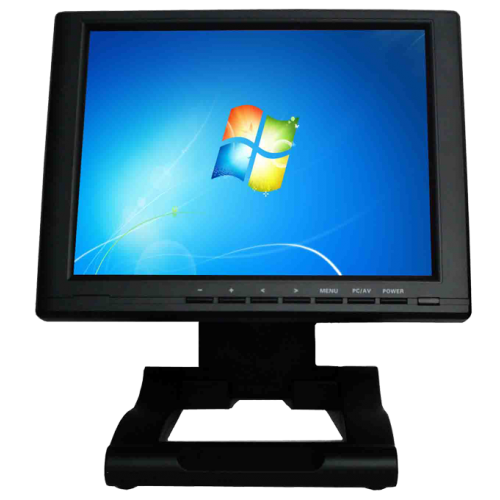 The FA1046-NP/C 4:3 aspect ratio monitor can attach using an HDMI connector, a DVI connector, Composite connections, a VGA connector, or an S-Video cable. All these cables connect directly onto the underside of the monitor at the rear, and all these cables are included for use straight out of the box. A. No – however the sister product to this model – the FA1046-NP/C/T does have a touch screen. A. This monitor does not support battery power natively. If you’d like to use battery power, we supply alternative models 665GL-70NP/HO/Y, 667GL-70NP/H/Y, and 668GL-70NP/H/Y which may be applicable for your needs. Q. What resolutions does the FA1046-NP/C support? A. The native resolution is 800 x 600 pixels, however it will support inputs (through scaling) of 480p (640 x 480), 576i (PAL resolution interlaced), 720p (1280 x 720 progressive scan), 1080i (1920 x 1080 interlaced) using the supplied DVI cable, and 1080p (1920 x 1080 progressive scan) using the supplied HDMI cable. It should be noted that some resolutions may result in black “widescreen” bars or image stretching anomalies. A. The panel has a native resolution of 800 x 600, giving 480000 pixels on screen.